Based on the title, I’m sure you’re wondering what an SEO fanatic whose main area of expertise centers around optimized hiring is doing writing a blog post about the importance of a positive online reputation. I’m here to tell you that your online standing, hiring process, and SEO are more closely related and carry more weight than you may think – especially in this day and age. So, what I’d like to do is guide you through each of these principles and the roles they play so that you can walk away with a positive review strategy guaranteed to usher in more quality hires, increase your SEO ranking, and sell more for your company. It should come as no surprise to you that online reviews have become the new “word-of-mouth” program for promoting businesses and the way I see it is you have two choices: one is to ignore the potential associated with this little goldmine and hope that your online reputation doesn’t become the bane of your existence; or two, you can choose to dedicate time to the process and take control of how your company is perceived by virtually every person that sits down at a computer and searches for your organization directly or your industry in general. Hopefully, you’re leaning towards the latter; especially if any of you are familiar with a little company called Amazon . . .
What does any of this have to do with hiring you ask? Well, to be honest, it has EVERYTHING to do with hiring. Your applicants/job seekers will a) become future employees of whom will leave a positive/negative imprint on your customers (the same ones who take the time to write online reviews) or b) they won’t be selected for the job and if your hiring process is subpar or the communication between your company and your job seeker is non-existent, they may feel motivated to write an online review reflecting the bitter taste in their mouth about the experience. Not to mention that sometimes, your job seekers are also your clients so the LAST thing you want to do is burn a bridge between the two of you. Job candidate communication is something I preach a lot here at ApplicantPro because I think it’s vital to not only maintaining the client/job seeker relationship, but it’s also a fundamental piece in building a future applicant pool as well. Now that we’ve cleared up the hiring question, it’s time to discuss another primary element come review time and that’s SEO. Again, if you’ve been following my posts or attended any of the twenty webinars I’ve presented, chances are you’ve heard all about SEO. Well, Internet reviews are backed by companies like Yelp, Citysearch, Yahoo!, Google Maps, etc which have a HUGE online presence and can do loads for your rankings in search engines. Admittedly, this is one of the few cases relative to business wherein all PR is good PR. The more information/mention of your company online, the higher your rankings will be and higher number of people that will be exposed to your business. Now, don’t misunderstand me and think that I’m suggesting you ignore negative reviews about your organization; I’m simply encouraging you to do some research and register for every review platform you can think of to increase the buzz about your company. 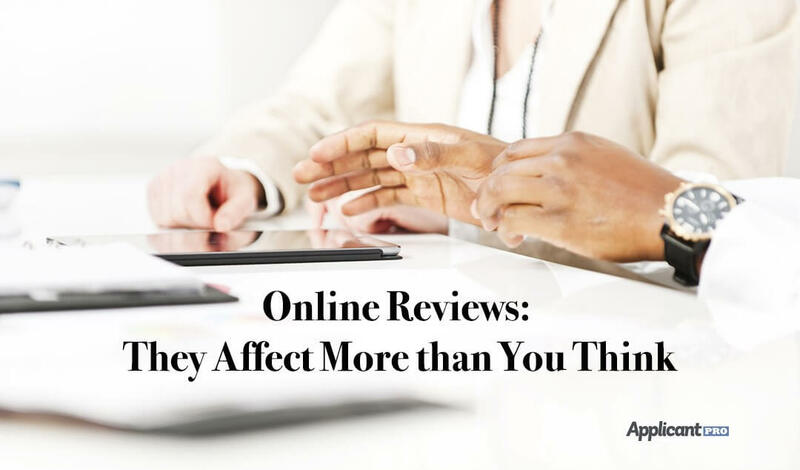 If you do stumble across a poor review (which is bound to happen at some point) you address the issue with tact by replying to the concerned reviewer directly online and as emotionally uninvolved as possible. People will see that you’re making an effort to rectify the situation and your efforts won’t go unnoticed. Lastly and probably the most important reason for monitoring your online reputation is that it gives you unique insight into how your customers perceive your company and based on this perception, you’ll get an idea of what’s working and what needs improved upon. Plus, who can really complain about free advertising? If you play your cards right, happy clients will do the “work” for you and you’ll have no problem selling your product and selling your company to quality applicants.